Do you have pain in the back of your neck and head? When you have sharp pain in back of head, it can be very difficult to think about anything else. In this article, we’ll explore what causes pain in the back of your head and what you can do to reduce it. It’s important to understand that not all headaches are created equal. There can be very different causes for headaches and very different sensations associated with each one. Sometimes headaches cause pain in back of head at base of skull, sometimes they cause sharp pain in back of head, and sometimes they cause pain in the back of your neck and head at the same time. 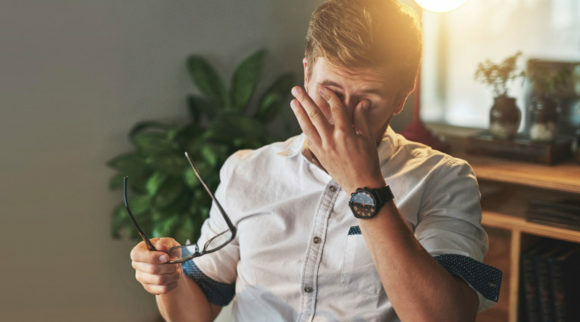 Many other symptoms are associated with having pain in the back of your head, including shortness of breath, double vision, sensitivity to light, nausea, and congestion. 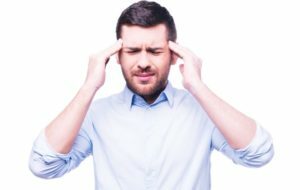 To determine what is causing your headache or the bad pain in back of head, you need to figure out what kind of headache you are experiencing. In addition, some headaches are brought on by other external factors. For example, some headaches arise after exercise and are called exertional headaches. 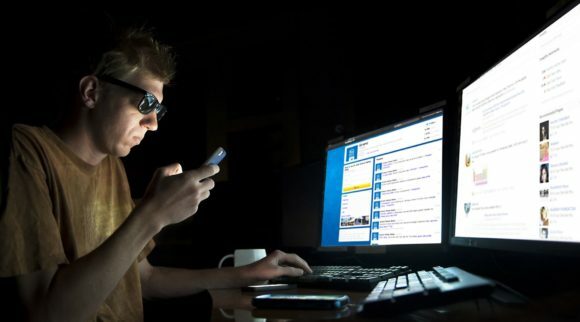 Eyestrain headaches arise when an individual has not properly corrected their vision. Fever headaches are often brought on by fevers. How do you know what causes pain in the back of the head? Here are the symptoms to look out for with the different kinds of headaches listed above. Allergy headaches can involve pain all over the head. 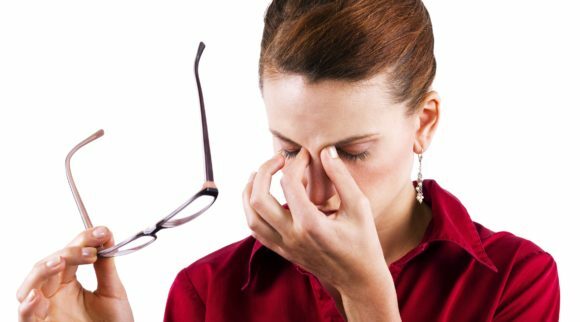 Other symptoms that go along with these headaches include nasal congestion and irritated eyes. Seasonal allergies to things like pollen and molds can cause these headaches. They often respond well to allergy medication like antihistamines. Arthritis headaches are typified by pain in the back of neck and head. This pain can become a sharp pain in back of head if you move it too often. Essentially, these are headaches caused by arthritis in the muscles around your head. Certain anti-inflammatory drugs or even muscle relaxants can help relieve these pains. The telltale sign of cluster headaches is localized pain around the eye as well as redness or flushing in the face. The pain of these headaches can arise during sleep and last for many hours. It is not entirely known what causes these headaches, but they can be exacerbated by excessive alcohol consumption as well as tobacco use. There are a variety of medications used to treat these headaches. Hangover headaches are caused by excessive drinking, which can lead to the irritation of blood vessels, as well as dehydration. These headaches can be quite excruciating, mimicking the symptoms of migraines. 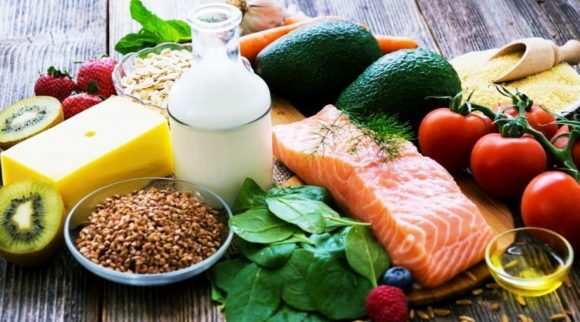 The best treatment for these headaches includes lots of water, broths and soups, and foods that contain fructose like honey. 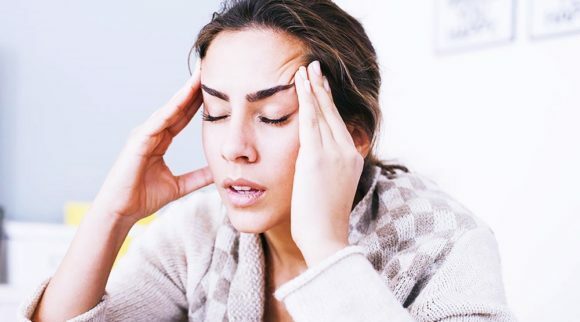 These headaches can happen at various points in the menstrual cycle, including before or after menstruation, or during ovulation. Their symptoms can mimic the pain in back of head at base of skull that is sometimes associated with migraines. These headaches are brought on by the changes in estrogen levels that happen during the cycle. Migraines are probably the most well-known type of headache and are recognized as a severe, sharp pain in back of head. Other symptoms can include one-sided pain, i.e. pain on only one side of the head, as well as nausea, sensitivity to light, and numbness in the arm or leg. There appears to be some genetic causes for these headaches. Other factors include emotional stress, tobacco use, and hormonal issues. Many different approaches are taken to help combat these headaches. Medications like ergotamine, 5-HT agonists, and analgesics are often prescribed. 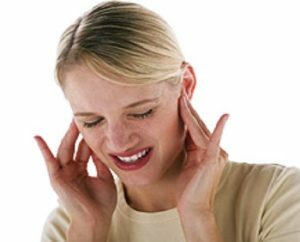 TMJ headaches can feel like a muscle that is spasming in the jaw or mouth area. This can sometimes lead to pain in back of head at base of skull. 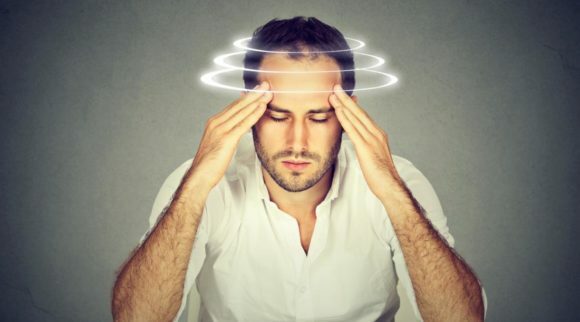 These headaches are caused by an underbite, as well as jaw clenching, and can be treated using biofeedback techniques. Sometimes surgery is needed to fix the jaw. This is a rare type of headache that can cause short, sharp pains in the face or around the mouth or jaw. These headaches are caused by a disease within the neural impulses. They are sometimes caused by neurological diseases like multiple sclerosis. These headaches can be treated by muscle relaxants. Sometimes neurosurgery is necessary to treat them. These headaches are associated with inflammation of the arteries in the brain, especially in the temporal lobes. This inflammation can cause intense pain around the ear and when you are chewing. This condition is usually observed in individuals over the age of fifty. These headaches can be treated with steroids. This is a serious condition that can sometimes appear to be a migraine or cluster headache. It’s caused by a bulge in the wall of a blood-vessel. This can eventually cause blood vessels in the head to rapture, which can cause a stroke. The pain in the back of neck and head can become unbearable and soon the individual may become unconscious. This condition needs to be treated with surgery. If you have chronic headaches of any type, you may also be suffering from depression. Depression has been linked to chronic pain of many types. The pain associated with these kinds of headaches can be physical as well as emotional. There are a variety of treatment methods the doctor can prescribe once depression has been identified as an underlying cause of your headaches. Since there are so many different kinds of headaches and they are a relatively common condition, it can be hard to know when pain in back of head at base of skull or pain in the back of neck and head require a visit to the physician. There are a variety of accompanying symptoms to your headaches that would require a visit to the doctor. They include dizziness, numbness, fever, vision loss, nausea, vision loss, and muscle weakness. All of these symptoms could indicate something more serious than just a typical headache. If your headaches or sharp pain in back of head are making it difficult for you to complete your daily tasks or just get on with your life, you should probably see a doctor. Another good indication that your condition requires a visit to the doctor is if you are taking over the counter pain relievers more than two days a week. When you visit your health care professional, inform them of how often you are experiencing pain in the back of neck and head and what kind of treatments you are currently taking. From there, you can determine what the best treatment plan for you and your headaches. 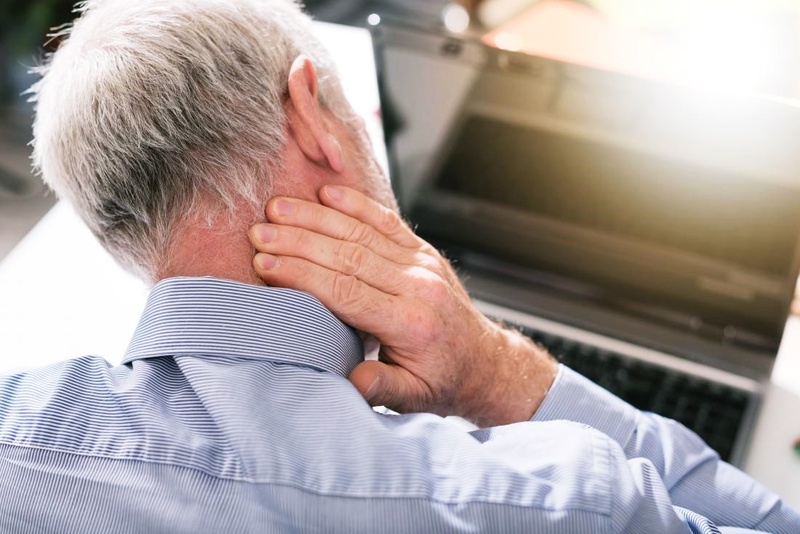 If you are having consistent pain in the back of your neck and head, there are a variety of treatments and products that you can use to find relief. There are over the counter medications, muscle relieving soaks and baths, and eye pillows and masks that have been developed to prevent your pain from getting worse. Below you’ll find some of our favorite products for relieving pain in the back of neck and head. 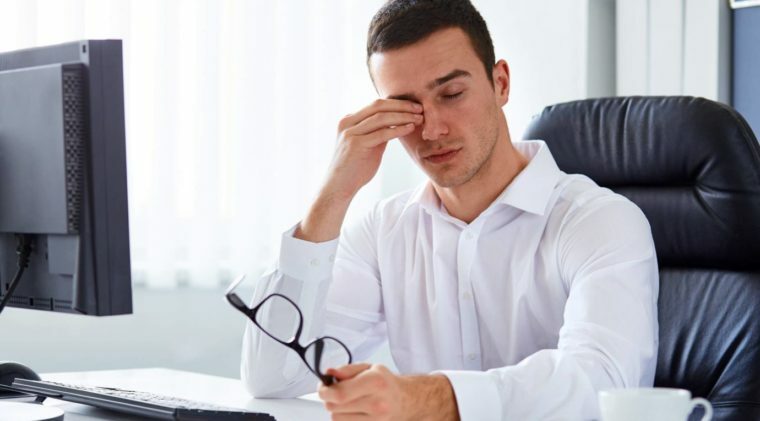 One of the most soothing things you can do help relax your mind before you go to sleep, or while you are experiencing serious headache pain, is to use an eye pillow. 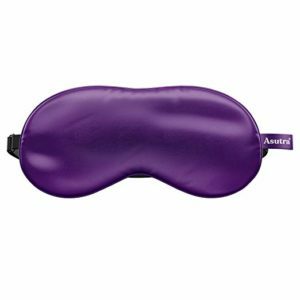 The Asutra Silk Eye Pillow offers headache relief as well as aromatherapy, which is a great combination. This eye pillow is filled with flax seeds and organic lavender buds. Research has shown that the scent of lavender can help relieve stress, anxiety, and headaches. This is an all-natural silk eye pillow that contains all hypoallergenic ingredients. Asutra is a unique brand because of the focus they put on only using high quality organic ingredients. They do not use any synthetic chemicals, fragrances, or parabens. Asutra never tests any of their products on animals either. It’s a United States based company that you can trust. This product can help you heal your headache and neck pain by offering you a way to deeply relax and experience the benefits of aromatherapy. Another great feature of this product is that it is completely customizable. You can remove any of the flax seeds or lavender buds from the eye mask to create the weight of eye mask that you’d like. You can also easily adjust the elastic band to make sure it is comfortable on your face as you sleep. 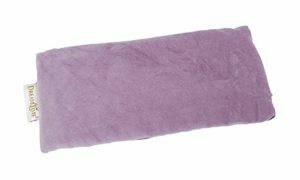 The Asutra all-natural 100% silk eye pillow is a high-quality product developed to provide you with ample opportunity to relax and relieve your headaches and stress. Choose this item when you want to relieve pain in the back of your head, quickly and efficiently. Dreamtime Inner Peace eye pillow is an incredible product that helps you relax and find inner peace using aromatherapy. Research has shown that using a high-quality eye pillow can make a dramatic difference in your overall health. The Inner Peace eye pillow can help you relax your mind and muscles and reach a state of deep relaxation so that you can sleep well and wake up rested. This is a great way to reduce overall stress and tension, which can be a big contributor to pain in the back of the head. 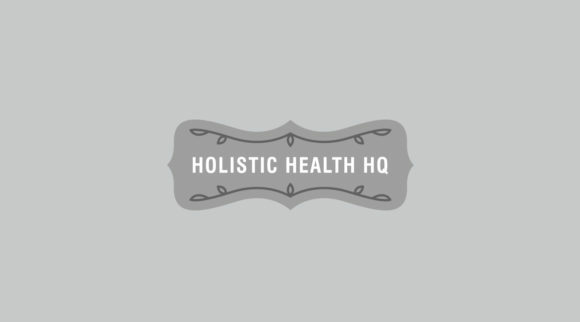 This brand is focused on creating a product that helps those who are seeking deep relaxation and relief from stress and tension. Dreamtime creates products from natural fabrics that are soft and durable. They are focused on highly usable products that are high quality. This eye pillow is fully washable, and there is a side zipper on the pillow so that you can remove the filling and re-fill it with whatever you would like. Plus, you can fully wash the pillow. One of the most amazing aspects of this product is the variety of herbs and scents that combine to create a truly unique aromatherapy experience when you use this pillow. The Dreamtime Inner Peace eye pillow includes essential oils of lavender, chamomile, and orange. Lavender is a well-known essential oil that relieves stress and promotes the release of anxiety. Chamomile is a fruity aroma that helps to boost the mood and can even relieve headache pain. Orange is another great essential oil that can help brighten your mood and relax your nervous system. This is a dynamic product that uses the amazing benefits of aromatherapy combined with an amazing pillow that can help individuals relax fully and reduce their neck and head pain. This is a very unique product that makes it easier for individuals who have pain in the back of neck and head to relieve their tension through something called suboccipital release. This is a methodology that chiropractors and massage therapists offer to those who are suffering from pain in the back of neck and head. It’s a technique that reduces tension in the tissues of the spine. This product does not have any batteries or wires. 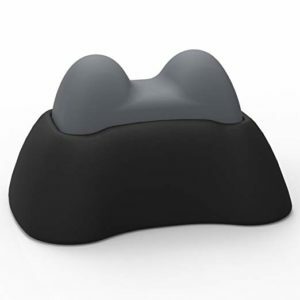 The product includes two parts, a base and two lobes, to assist those who want to apply pressure to the back of the neck. This can help you if you have sharp pain in back of head or pain in back of head at base of skull. The product is made of synthetic rubber and plastic. This product was specifically created to target the pressure points in the back of the neck. This has been shown to relieve stress and tension in the head. It’s a gentle, relaxing occipital release. You can also use the product on other areas of the body to release tension. You can put the block underneath your back, neck, shoulders, arms or legs. Finding the pressure points on different parts of your body can then offer an intense release, similar to a deep tissue massage. If you have ever sought attention from a professional to receive a suboccipital release, then you should consider purchasing the Twin Block Pro. This allows you to receive the relief provided by this technique in the comfort of your own home. It’s a high-quality manual massage tool that can be used specifically for headaches, or throughout your body. This unique product offers a direct way to increase the magnesium level in your blood. The World Health Organization has concluded that close to 80% of individuals in the United States have low magnesium levels in their blood. This can cause a lot of health issues, including agitation, anxiety, muscle spasms, insomnia, and other sleep disorders. Many individuals who have stress or tension headaches have experienced relief after using this unique product. This unique company is focused on creating high quality products that are only made from the best ingredients. 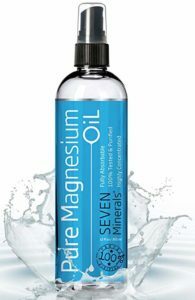 SEVENMinerals mines their magnesium from a deep Permian seabed in the Southern U.S. It’s been tested by chemists to ensure that it is completely pure. This is a guarantee that few companies offering magnesium products can make. SEVENMinerals combines their pure oils with ingredients like lavender and rosemary. The company also sends you a guide to help you understand magnesium and the role it could be playing in your life. This product offers individuals who suffer from pain in the back of neck and head relief by increasing magnesium levels. When you have low magnesium levels, stress and tension in your muscles can increase, and it can be difficult to get a good night’s sleep. That’s another contributor to serious migraines and other headaches. Ensuring that you have the proper magnesium levels could really help you reduce your headaches. Magnesium deficiency is quickly becoming a very popular product to reduce stress and tension and increase overall well-being. After all, it has proven to help a lot of people to reduce headaches and other pains. This is an over the counter medication that could be compared to the brand Aleve. It’s a pain reliever and fever reducer that can help you reduce any pain in the back of your neck and head. This is a high-quality brand that is completely gluten free. It provides a variety of over the counter medications for a very low price. This product is a well-known fever and pain reducer. Many people have success using this product to reduce their headaches and pain. It can help individuals by reducing the production of hormones that cause pain in the body. This is a great product to choose if you’re looking for a way to reduce your pain without too many side effects. When you combine this product with getting a good night’s sleep, as well as reducing stress and tension in your life, you are on your way to living a pain-free life. This is a unique product that was created to help you relieve your stress and tension as well as to reduce pain from headaches and migraines. It blocks out light from reaching the head and can soothe tired and puffy eyes. Plus, it’s easy to wash. This product was patented because of its unique construction. 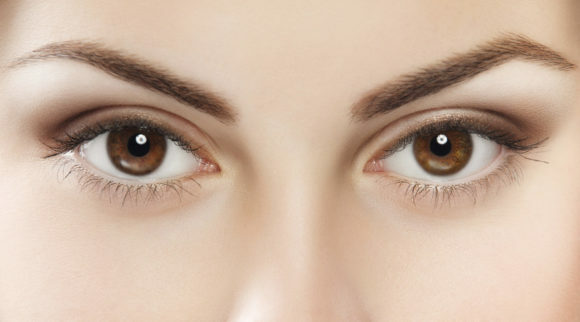 It offers compression, conforming to your eyes and face and placing pressure upon it. As a result, you can enjoy a gentle massaging effect. There is also a unique stitching pattern which reduces the direct pressure on the eyes. The best way to use this eye pillow for reducing migraine headaches is to place the eye mask in your freezer. This can reduce your stress and provide you with very cool relief. Also, the beads within the eye mask are ergo bead filling, which ensures that the eye mask does not go stiff. 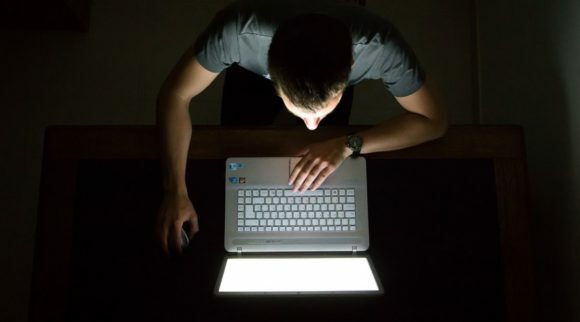 This mask may be especially beneficial if you have tension from computer overuse. 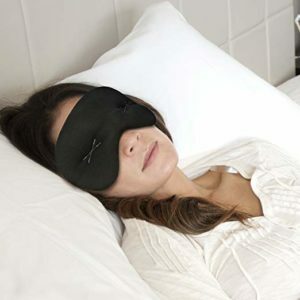 This is a very high-quality product that was carefully created to maximize the benefits of eye masks and pillows intended to reduce headache pains. The highly crafted design allows it to stand out beside other eye masks. Not to mention, quality materials like lycra fabric and ergo bead filling are used in the pillow. This is a leader in headache relief for the past 50 years. 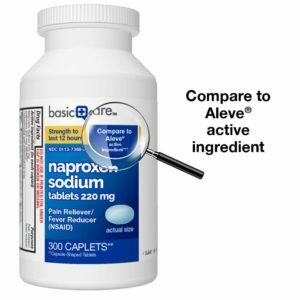 The product includes acetaminophen, aspirin, and caffeine. This is a combination that delivers powerful relief from a headache. This is a trusted brand that has been providing high quality products to consumers for decades. It’s been shown to amplify the effects of the pain relievers within the formula, which allows it to be a quick, safe, and effective choice for relieving headache pain. 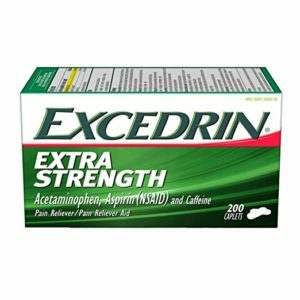 By utilizing over the counter medication, such as Excedrin extra strength, you can help reduce pain and tension. 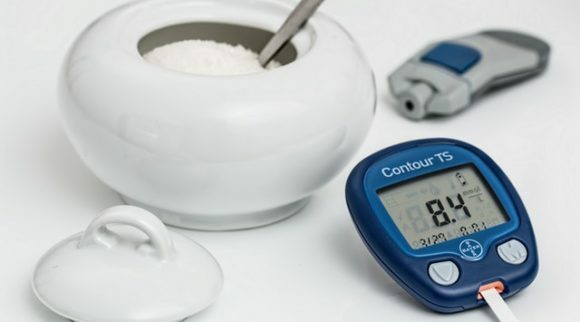 This medication also comes in the form of a gel-tab, which makes it easier to swallow and move into the blood stream. If you want to approach your headache pain using a combination of over the counter medications, try the Excedrin formula. This combination of acetaminophen, aspirin, and caffeine works wonders. This over the counter medication offers ibuprofen in softgel tablet form and is intended as a pain reliever. Kirkland Signature is a Costco brand, a popular company that offers a wide variety of bulk products for lower prices. They created their own brand to compete with pricier name-brand products, like Advil. 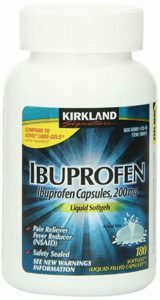 You can get a bottle of Kirkland Ibuprofen for a lot less than the same thing in a bottle labeled Advil. This unique product can help you relieve your pain because it helps reduce inflammation and tension. Ibuprofen has been a go-to choice for over the counter pain relief for decades because of its effectiveness and general safety. When you want quick relief from your tension and stress headaches, choose this product from Kirkland Signature. When you have pain in the back of neck and head, there are a lot of choices you can make. By determining what is the cause of your pain and then selecting the right products to reduce your tension, you can relieve your headaches and go back to living a full and happy life.